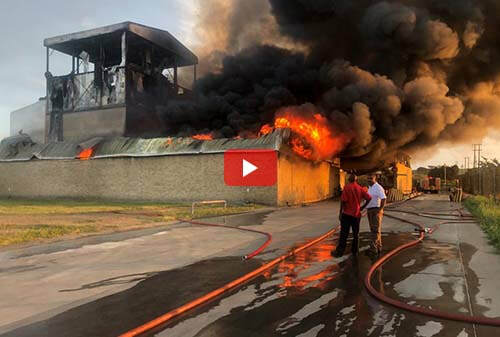 ​A fire that destroyed the powder milk production facility at a Clover factory in Estcourt on 13 March 2019 has been extinguished. In a statement, Clover described the blaze as severe but said the extent of damages has not yet been established. 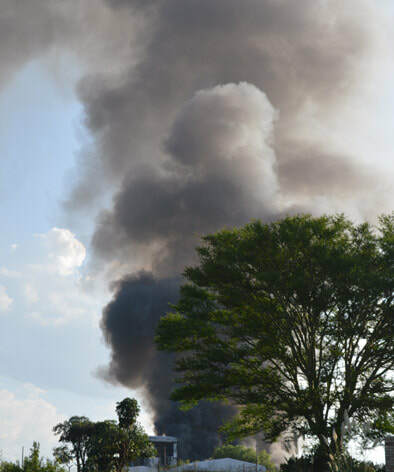 Chief fire officer for the Okahlamba Local Municipality, Freddie Halgreen, says it took hours to bring the inferno under control. 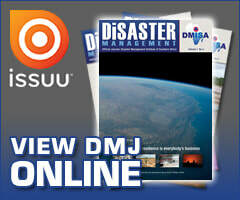 "We got the call at 16h55 yesterday and arrived on scene at about 17h30. By then, the storage area of the powder milk was fully engulfed. It was made difficult by the roof structure and wall structure continuing collapsing," Chief Halgreen said. Halgreen says they eventually managed to contain the flames. 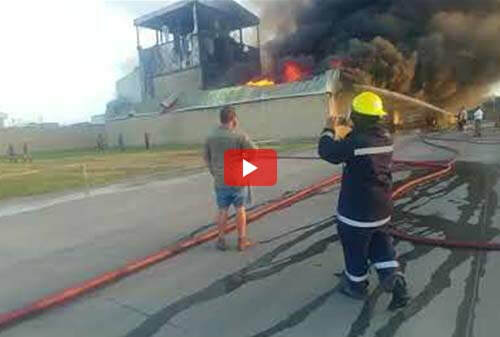 “We got the fire under control at 23h00 yesterday. Currently there is still smoldering. We are looking at dispatching another team in that direction to go and assist. We left the scene at about 2h00, this morning," he said, on the morning after the fire, Thursday, 14 March 2019. Video footage from the scene shows a huge cloud of black smoke billowing from the building. 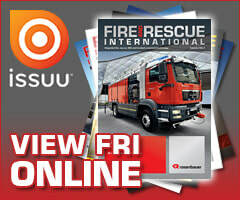 The company says investigations into the cause of the fire that engulfed the factory yesterday afternoon have begun. Management has confirmed that all employees were evacuated, saying no injuries have been reported. The food and beverages group says their legal team is still counting the costs of the damage. 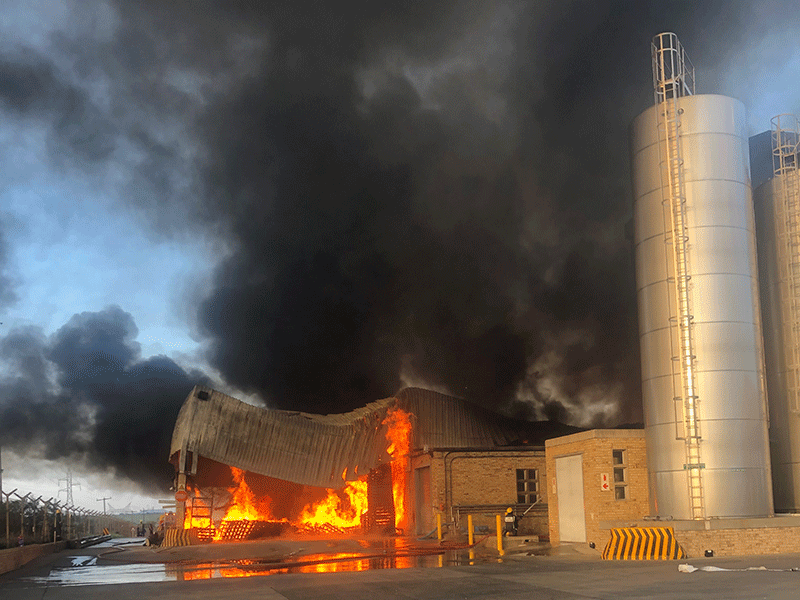 The Okahlamba Local Municipality's chief fire officer said three fire services were on scene dousing the flames during the hours-long operation. Clover has since halted operations at the plant. It expects this will have a knock-on effect on other areas of the business.